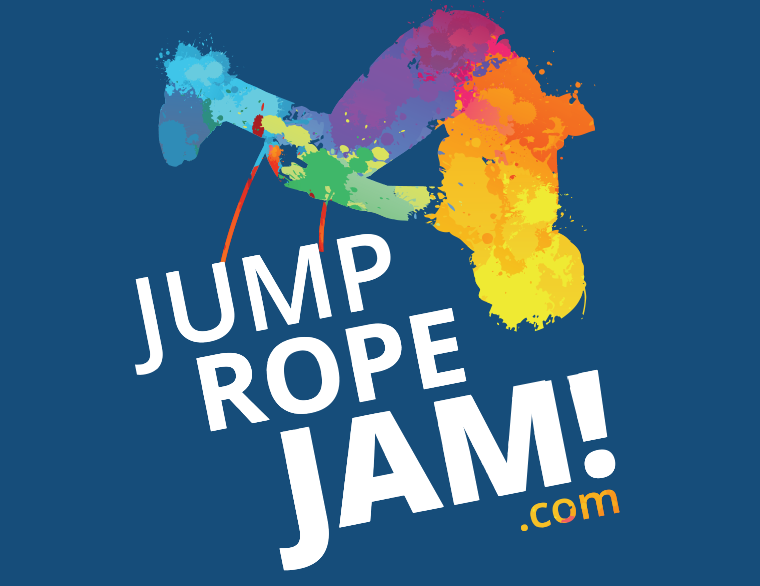 Do you want to learn how to draw while having fun too? Then hop on in and watch Drawing with Doctor Doodle! Drawing with Doctor Doodle is a YouTube channel for beginner and veteran artists. 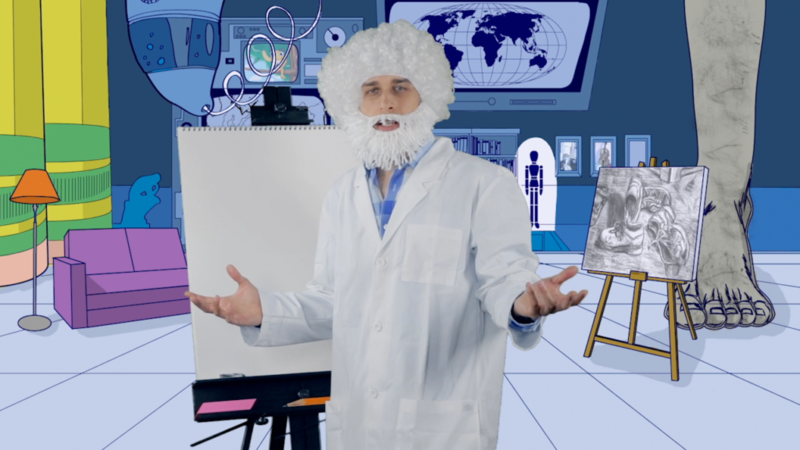 Through short, 7 minute episodes, Doctor Doodle uses humor and to the point how to lessons that will have even beginner artists drawing their best at the end of each video. Drawing with Doctor Doodle is the culmination of artist, and teacher, Cory Gerard’s experience in the teaching and graphic design worlds. 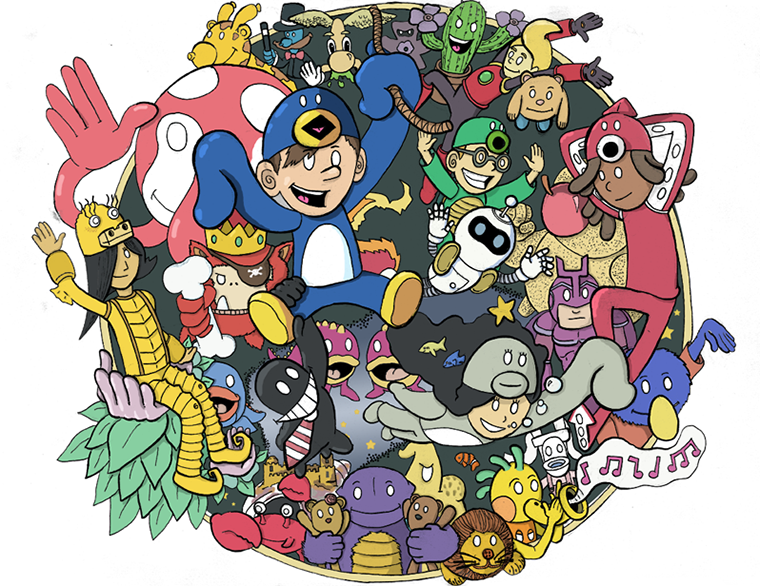 Combining his knowledge of successful teaching techniques with entertaining and engaging videography, Cory’s goal is to use Doctor Doodle to inspire future and current artists to reach their full artistic potential. "Your show, Drawing with Doctor Doodle, not only motivated my son to draw while following along with your lesson, but you also had me pulling out a pencil and paper after not having drawn for 5 years prior! Keep up the great work, my son and I look forward to your next video." Doctor Doodle is a fictional character played by a certified teacher named Cory Gerard. Teaching art for over 6 years, and with a background in the digital arts, Cory saw the potential modern technology could afford teaching. Through video streaming services like YouTube, and social media platforms like Twitter, Instagram and Facebook, teachers didn’t need to limit who they taught and could instead engage students around the world. Doctor Doodle has help teaching art in his Doodle Den. 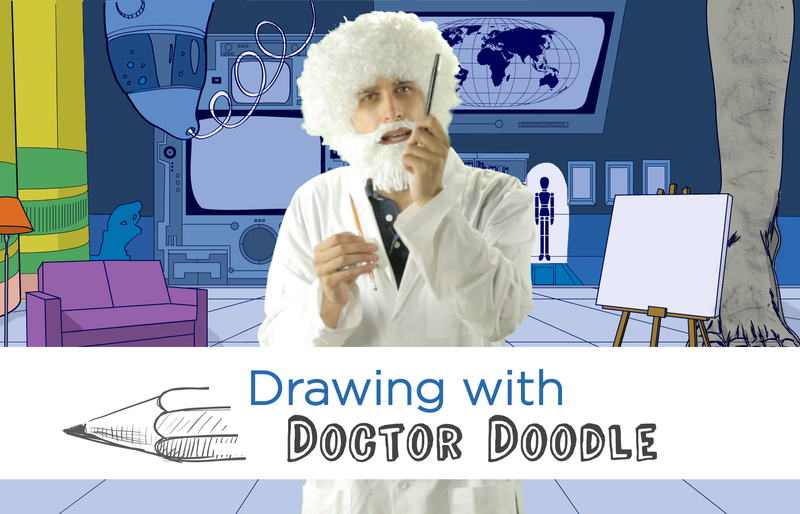 While reviewing what supplies are needed for each lesson, Doctor Doodle’s art supplies become animated. When Doctor Doodle decides to paint, he asks for help from Art the Giraffe, a hand puppet with a magical paint brush for a tail. 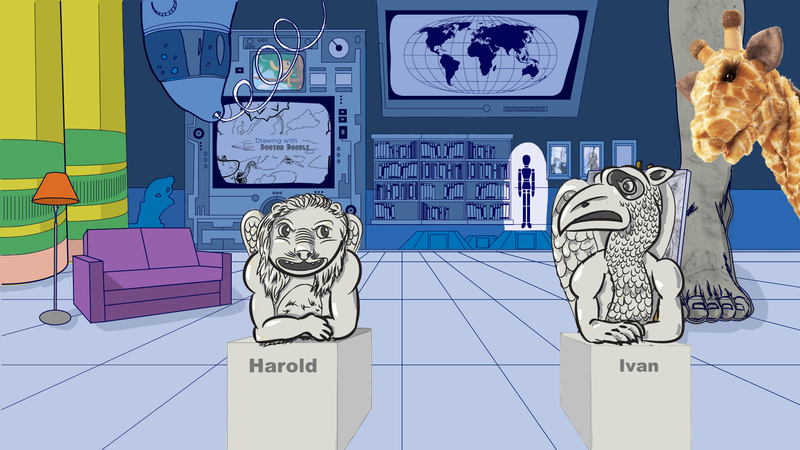 Finally, the Gargoyle brothers, Harold and Ivan are there to help Doctor Doodle critique fan submitted artwork.